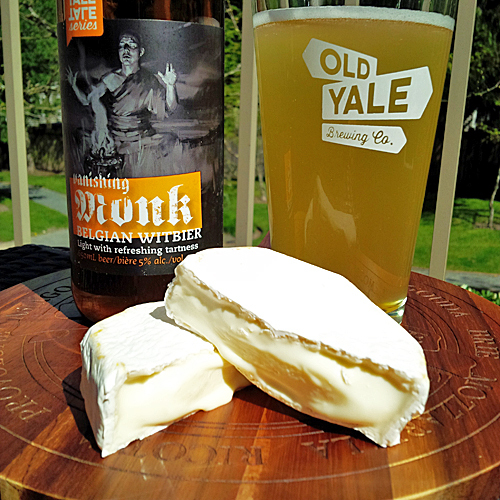 The Farmhouse Brie with Old Yale Witbier: In general wheat based ales aren’t massive palate busters, so in order to incorporate them into a good beer and cheese pairing be sure to look for a delicate cheese that won’t over power the beer. You’ll want something that will work to cut into the fat a little bit and bring out more of the subtle flavours, while at the same time enhancing the creaminess of the cheese. There are lots of other varieties of creamy cheese that will pair up well with a wheat based beer, including such styles as Camembert or French Chaource, so don’t be afraid to get more creative in your selections. Overview of the BC Cheese Makers and Brewers: For this pairing I chose a brie made by The Farmhouse Natural Cheeses located in Agassiz, BC. This shop is a place I always make a point to stop in and visit whenever I am headed up to Harrison Hot Springs, or I am camping at Sasquatch Provincial Park. They have an impressive variety of cheese, Gelato and other farmhouse products in their store that is located right at the front of their farm. Barely 30 minutes away from this cheesery is Old Yale Brewing who resides in Chilliwack, BC and is now famous for their Sasquatch Stout (winner of Best Beer in Canada at the 2014 Canadian Brewing Awards). Look for these cheeses in most specialty grocery stores or farmers markets. The Beer: Vanishing Monk is a newly released Belgian witbier that was made for my patio. It is a refreshing beer that is brewed to a strength of 5% abv and features lots of yeasty wheat flavours, some subtle lemon, floral and herbal spices; with a finish of wheaty cereal grains. It is light and subtle enough in terms of flavour and booze that it won’t overpower any one particular food, yet has enough intriguing flavour to work well with a brie cheese. 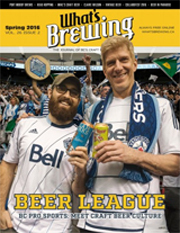 This beer can be found at most private liquor stores in BC and is best consumed as fresh as possible. 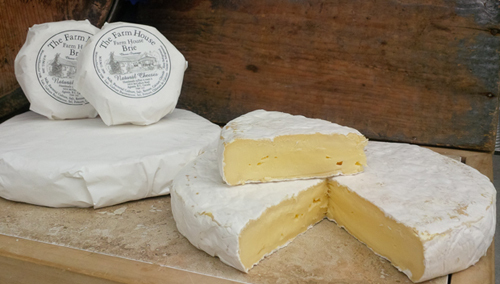 The Cheese: This brie is made by The Farmhouse who uses fresh milk supplied by their resident cows who feed on grass and organic hay throughout the year. to make their cow milk based cheeses It has 28% milk fat and 50% moisture, which makes it a very soft and creamy textured cheese that is quite brilliant melted or eaten near room temperature like I did. It has a pungent earth, grass and slighty moldy aroma to it, followed by loads of creamy buttery flavour with some earth overtones, a crunchy rind and a salty aftertaste that is just right. I found this cheese at Choices Market, they also sell it on site, in some farmers markets, at other artisan cheese shops or online at their webstore. The Pairing: I found that when paired together the cheese got way creamier (almost whipped cream texture) and I tasted significantly enhanced earth notes and salty savory butter flavours which were softer in the plain cheese. The spices in the beer were elevated, bringing out some pepper, herbs and enhancing the lemon tartness ever so slightly while subsequently reducing some of the yeastiness I noticed before the pairing. There were a lot of delicate changes in flavour and intensity that were very pleasing to my palate. 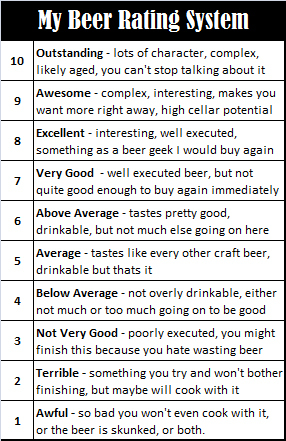 Overall Rating: Excellent at 8/10, just a nice reliable pairing that delivers every single time and gives you a sense of the skills and talent of the local artisan beer and cheese makers who reside just outside of Greater Vancouver. Look for The Farmhouse Natural Cheeses at certain farmers markets and be sure to stay up to date by liking their Facebook page shown in the photo below, which is their farmers market setup that looks heavenly.